NIH’s National Institute of General Medical Sciences (NIGMS) has announced that Dorit Zuk, PhD, will be the next director of the institute’s Division of Genetics and Developmental Biology (GDB). She will join NIGMS in early 2016. NIGMS’ GDB division funds basic research on the cellular and molecular mechanisms related to inheritance, gene expression, and development. Many of the projects supported by GDB make use of model organisms. Zuk is a molecular biologist who conducted research on muscle development and RNA metabolism. She currently serves as director of the Office of Policy, Communications and Strategic Alliances at NIH’s National Center for Advancing Translational Sciences. Dr. Zuk previously served as science policy advisor to the NIH deputy director for extramural research, as a AAAS Science and Technology Policy Fellow at NIH, as program officer for science policy at the American Academy of Arts and Sciences, and as deputy editor for Cell and editor of Molecular Cell. She served as a postdoc in the lab of GSA member Allan Jacobson at the University of Massachusetts Medical School. Zuk succeeds Judith Greenberg, who was tapped as NIGMS Deputy Director. 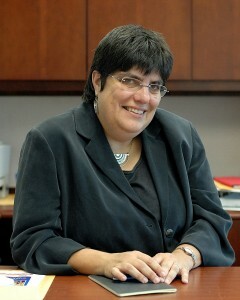 GSA member Susan Haynes is serving as acting director of GDB. “Zuk to Direct NIGMS Genetics and Developmental Biology Division,” December 2, 2015. Jon Lorsch, “Dorit Zuk to Direct Genetics and Developmental Biology Division,” NIGMS Feedback Loop Blog, December 2, 2015.